This entry was posted in Uncategorized on April 5, 2019 by mrmitchell. A summary of the rights can be found in the Parent Zone of the school website. This entry was posted in Uncategorized and tagged UN Convention on February 27, 2019 by mrmitchell. 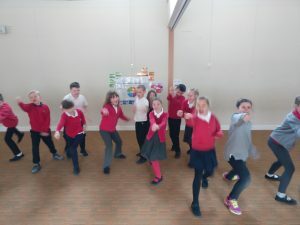 Back in April and May, 6 Members of Children’s Parliament (MCPs) and child Human Rights Defenders called Hannah, Cameron, Dylan, Alexander, Anna and Emily (aged 12 and 13) led five workshops across Scotland in Tranent, Edinburgh, Blairgowrie, Inverness and Benbecula. The workshops explored why children’s human rights are important and what children and adults can do to defend these rights. Every child involved created a piece of artwork, a story, a rap or poem about a right they feel strongly about defending here in Scotland – and these were just incredible! We have created films about each of the five workshops which you can find here. In August, the 12 children worked together over five days to decorate five giant papier-mâché shields, painting and collaging images and text from children’s creative work produced in the workshops. It was a lot of hard work and a lot of fun making them! We’re so grateful to all the children who were involved in the workshops – so many of the ideas and views shared are woven into the shields in some way and we can’t wait to see what you all think. You can read Dylan’s blog about the process here. 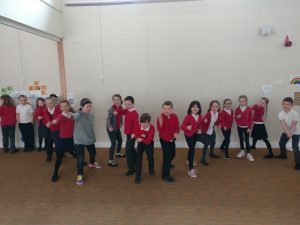 Over the past few weeks, the children have been preparing to take the shields to the UN Committee on the Rights of the Child’s Day of General Discussion which is at the end of next week! The children will give tours of the shields to children and adults from across the world who will be participating and will share stories about what each of the shield means and represents. We’ll be blogging and tweeting from Geneva next week so do keep an eye out for updates! From all of the 12 children going to the DGD next week and from the rest of our Children as Human Rights Defenders team, we want to say a huge thank you to all the children involved in the workshops for sharing your ideas with us and for playing such an important role in the upcoming global discussion about defending children’s human rights. This entry was posted in Uncategorized and tagged Children's Parliament, Human Rights Defenders on October 1, 2018 by mrmitchell. 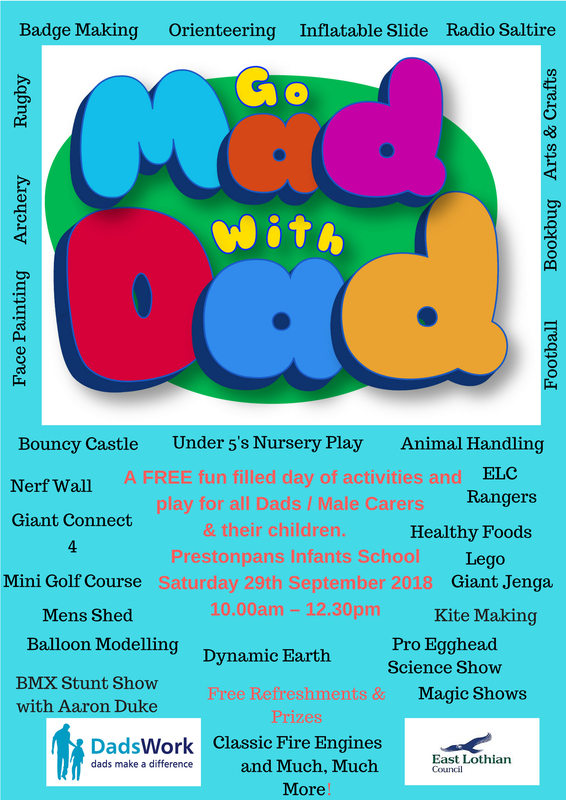 This entry was posted in Uncategorized and tagged Go Mad With Dad on August 29, 2018 by mrmitchell. 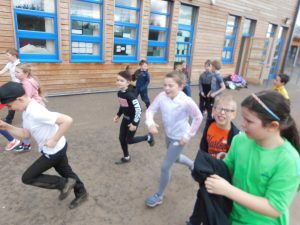 Very well done to everyone in your efforts to reach a million steps for Sport Relief. As a school we smashed our target an managed a staggering 1,263,472 steps. This entry was posted in Uncategorized and tagged Sport Relief on March 23, 2018 by mrmitchell. 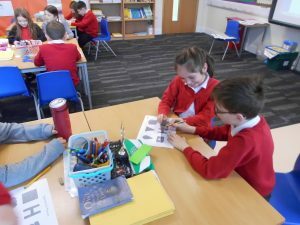 This term we have had lots of fun learning about the Vikings. We all pretended to be Vikings raiding Lindisfarne and some of us were Monks. This entry was posted in Uncategorized and tagged P4A on March 22, 2018 by mrmitchell. Thursday 22nd March @9.15 in the dining hall. Come and listen to some of our pupils talk about how they have been developing our playground and their vision for the future and share your opinions. All are welcome. This is a great opportunity for you to have your say in the future of the playground. Teas and coffees will be provided by the parent council. This entry was posted in Uncategorized on March 21, 2018 by mrmitchell. This entry was posted in Uncategorized on March 19, 2018 by mrmitchell. This entry was posted in Uncategorized and tagged Playground on March 15, 2018 by mrmitchell. I hope you are all wrapped up warm and enjoying the snow. Today is World Book day so I would like you to go on a scavenger hunt. Print off the checklist below and enjoy looking through all the books you have at home. You might discover a book you have not read for a while or a new one that captures your imagination. Bring your checklists with you tomorrow. This entry was posted in Uncategorized and tagged P4A on March 1, 2018 by mrmitchell.